Composed at EMS elektronmusikstudion, Stockholm by Ákos Rózmann. Vinyl cut by Rashad Becker at Dubplates & Mastering, Berlin Janaury 2012. Ákos Rózmann (1939-2005) studied at the Bártók conservatory in Budapest and took diplomas in both composition and organ playing at the Liszt Academy. In 1971 he was given a scholarship to study electronic music in Stockholm. His encounter with the electronic tools was a revolutionary experience for him and was to give a whole new direction to his work. Soon he abandoned composition for acoustic instruments and was later to claim that instrumental music "had no future". For several years he earned his living as an organist at St. Eric’s Catholic Cathedral in Stockholm, often using recordings of organ sounds made in the dead of the night as a source for his electronic works. Rózmann often preferred monumental forms and several of his most prominent works, such as 12 stationer (12 stations) and Mässa (Mass), grew side by side over a long period of time. With a few rare exceptions, the conflict between good and evil was the basic theme in his works. The fight went on continuously in arenas and within power relations that would suddenly change. In Rózmann’s imagined world, no room was given to chance. Big powers, luminous or dark, would lie behind the most trivial everyday events. A large portion of Tibetan Buddhism gradually infiltrated his Catholic Weltanschauung, and 12 stationer (12 stations), composed between 1978 and 2001, is a musical interpretation of the Tibetan Wheel of Life. The last part of the 12 stations, “old age and death”, is called “the celebrators” in Rózmann’s version (completed in 2001). When asked what sort of celebration he meant he replied: “the merriment you hear is false, it is not genuine, it is empty”. Dörr med tårar (Door with tears) from 1988-89 is unmistakeably an homage to Pierre Henry and the title alludes to "Variations for a door and a sigh". During one of my last encounters with Rózmann he told me in depth about how Henry’s influence was significant in leading him to choose electronic music. He regarded Le Voyage from the Tibetan Book of the Dead to be the most important pioneering piece in the history of electronic music. 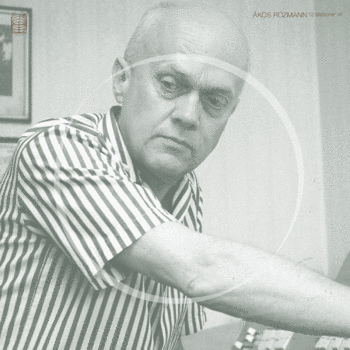 Ákos Rózmann showed particular devotion to his work during more than thirty active years. During his lifetime he never sought, nor did he win any mentionable recognition. As a true modernist, he didn’t compose with an audience or the critics in mind. His mission was to compose for the future. It was his conviction that the mystical energy for compositional work should derive straight from God. It is a truly great thing to witness the publication of this album.